The necessity of a religious dialogue between Christians and Muslims these days has come to mind very often for a lot of reasons – especially in the process of globalization. What happened on September 11, 2001 and its consequences have reinforced the necessity. Not only a religion but also its followers, numbering more than a billion people, run the risk of falling into disrepute thereby. Islamic teaching according to the latest religion coming from Abraham confirms the previous religions. 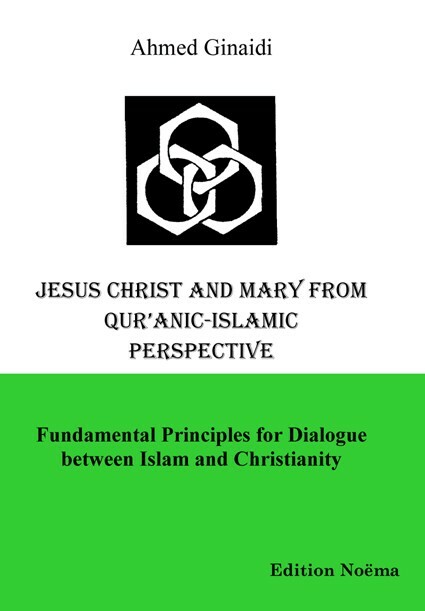 Islam is the only religion after Christ which recognizes in Jesus not only the Word of God, but also sees in Jesus a sign of God's love and mercy. The following verse is a witness to the importance of the Jewish and the Christian belief from the Islamic view. "Say ye: "We believe in God, and the revelation given to us, and to Ibrahim, Isma'il, Ishaq, Ya'qub, and the Tribes, and that given to Musa and 'Isa, and that given to (all) Prophets from their Lord: we make no difference between one and another of them: and we bow to God (in Islam)." [2:136] The diversity in God's offer is a wealth which we absolutely must recognize today. Dr. Ahmed Ginaidi was born in Cairo 1943. He is a Muslim and has lived in Germany since 1961. For more than 30 years he was a lecturer for Islamic scientific lectures at the Pedagogical University Karlsruhe and he is very active in the field of the dialogue between the religions.